Scrapes, blisters and calluses are everyday owies that happen anywhere, including the box. 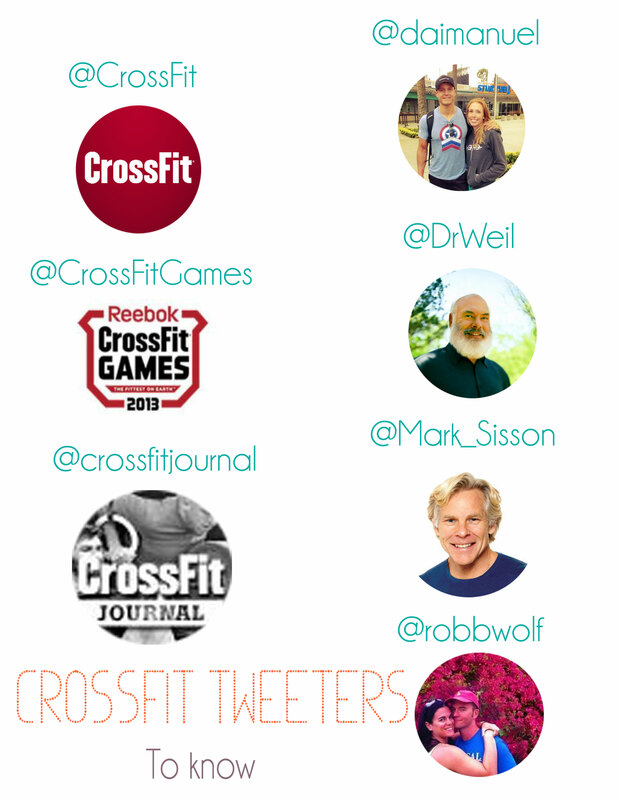 Come prepared for minor CrossFit injuries with an arsenal of first aid remedies. Start with the basics: Bandages and cold packs are must-haves in any first-aid kit, including the one you toss in your gym bag. Calluses are impossible to avoid in the box. The best way to keep them from affecting your fitness is to shave them down and keep them smooth with a specialized callus shaver with safety slide. There is no magic potion out there for aches and pains, but there are plenty of salves and ointments that do the trick. Aquaphur Healing Ointment prevents chaffing and helps to soothe irritated skin, while Biofreeze relieves achy muscles and joints with an instant cool and tingling sensation. Roll out those knots with the Gemini, which was created specifically with CrossFit athletes in mind. And last, but not least, just think of the sweaty paws all over those kettlebells—kill some of that borrowed bacteria with good ole’ fashioned hand sanitizer. 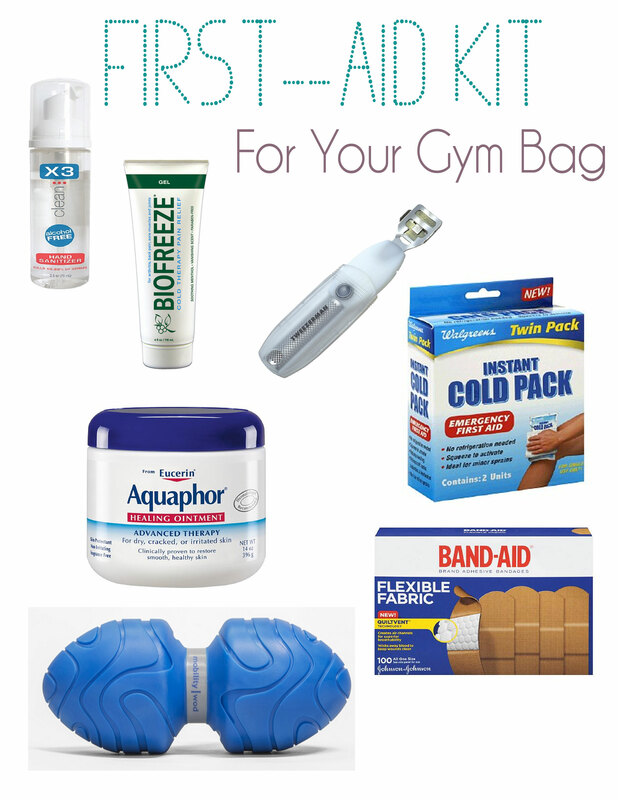 Bring your WOD-ready first-aid kit to your next workout and you’ll be ready for anything. 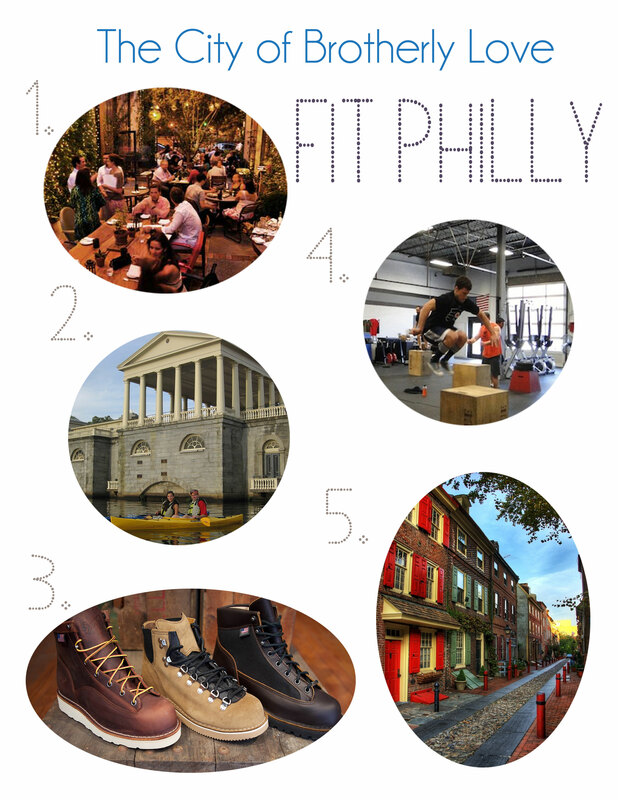 Workdays are a blur, making it tough to find time for fitness. The key to squeezing a quick workout into your hectic day is to simplify: Organize your schedule, manage your time, and carefully pack the bare-minimum of gear for your mad dash to and from the gym. 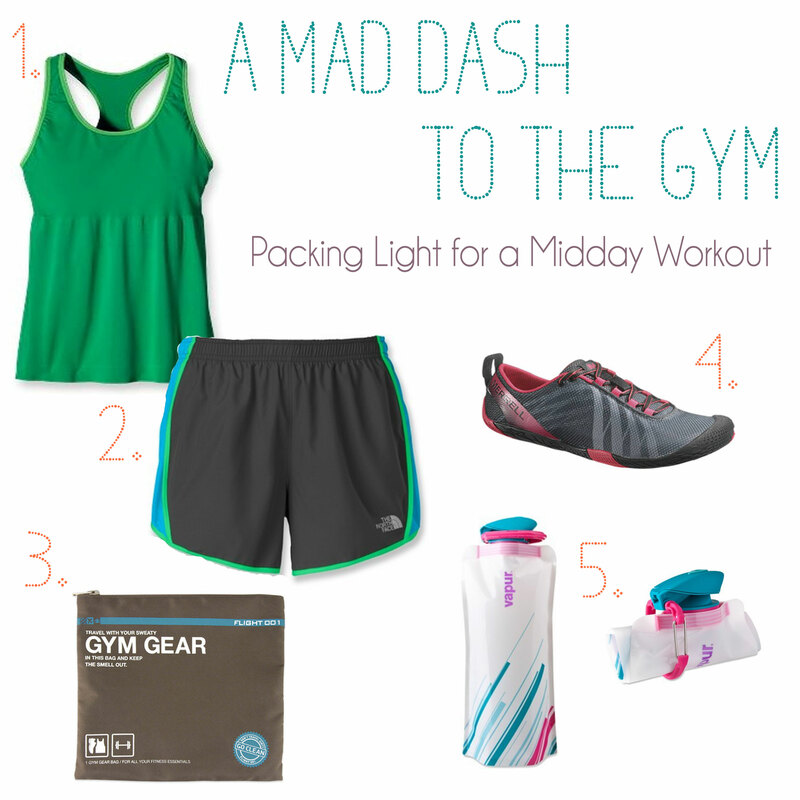 Skip the gym bag altogether, because these bare essentials can easily fit in your purse. Start with Patagonia’s bold green running top which features a built-in bra. Throw on a pair of light shorts, then lace up Merrell’s Vapor Glove running shoes which weigh in at 10 ounces—total. Even during a quick workout, hydration is vital! Bring along Vapur’s collapsible water bottles that roll up and are easy to store when empty. And as you wipe the sweat from your brow and head off to your next appointment, stuff your stinky gym wear into Flight 001’s handy Gym Gear Bag, which separates your sweaty clothes from the clean stuff. Catching quality Z’s can improve your memory, lower your stress and help you live a longer, happier life. So why is it so hard for us to tuck in at night and drift off to dreamland? With our buzzing cell phone always within arms reach, it’s easy to see why so many of us struggle to relax at bedtime. A perfect night’s sleep is attainable (and important to living a healthy life! ), so check out these five tips to getting better sleep. It’s tempting to write one last email in bed or channel surf under the covers, but habits like these can keep your mind turning for hours after the light go out. Instead, start winding down at least fifteen minutes before bedtime. Turn off your computer and stash your phone away before slipping into comfortable pajamas and sipping warm caffeine-free tea. If you find yourself fretting about tomorrow, jot down what’s concerning you and then clear your mind for a restful night of sleep. Although slumber is hours away, your 4pm coffee might be keeping you up at night. Cut out caffeine after 2pm and be especially careful what you eat or drink in the evening. A glass of wine before bed might make you feel drowsy, but alcohol can keep you from getting deep sleep. Our bodies react to the light around us. Bright light signals daytime, while dimmer lights help us to relax. A study recently showed that exposing yourself to natural morning light can reset your circadian clock (your internal alarm clock) to help you rise earlier naturally. If privacy allows it, crack your shades to allow in morning light. Keeping a regular exercise schedule can help improve your sleep. Research has shown that at least 45 minutes of cardio each day decreased the effects of insomnia. The best time to sweat is always up for debate, but stretching or gentle yoga before crawling between the sheets is a nice way to quiet your mind and relax your body. Mild lower back pain might not keep you from drifting off to sleep, but it can make your snooze restless. Tucking a pillow between your knees is an excellent way to align your hips and relieve back pain.